EXCLUSIVE AT NET-A-PORTER.COM. 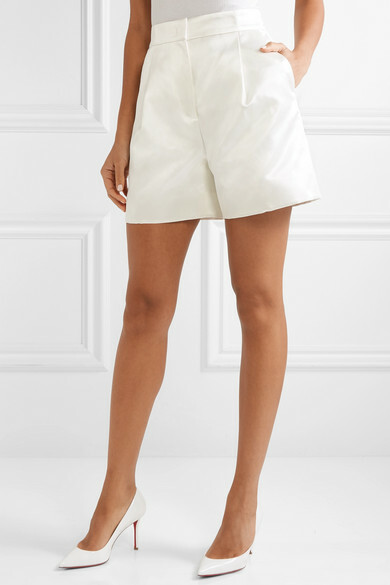 Gabriela Hearst's 'Hayworth' shorts are such a modern style to get married in, particularly if the venue is a city hall or cosmopolitan hotel. Alternatively, if your heart's set on a dress, try wearing them for a bridal shower or rehearsal dinner. 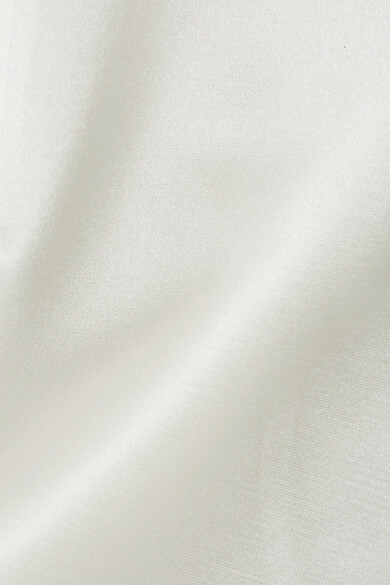 Made in Italy from ivory cotton and silk-blend satin, they have a flattering high-rise waist and neat pressed creases. Create a suit with the matching blazer. Shown here with: Edie Parker Clutch, Christian Louboutin Pumps, Simone Rocha Earrings.